The Toyota RAV4 is classified as a compact crossover and the description can be slightly misleading, though in a good way. First things first, however. A compact crossover is today's term for "compact SUV", and the RAV4 is just that. It offers the option of both third-row seating and a beefy 3.5-liter V6. Compact crossovers were never offered with such features, until now. For those seeking maximum fuel economy, the RAV4 is also available with conventional two row seating and a 4-cylinder engine. Even though it's due to be redesigned soon, the RAV4 remains a solid choice for customers who want the versatility of an SUV but pine for the fuel efficiency found in today's crossovers. In addition, with the ability to seat up to seven, the RAV4 could be just the right pick for shoppers who need additional extra seats for soccer practice or growing families. RAV4s are offered with either a 2.5-liter 4-cylinder engine producing 172 horsepower mated to a four-speed automatic transmission which nets up to 28 mpg on the highway. A larger, more robust 3.5-liter V6 producing 269 horsepower is optional and is coupled with an upgraded 5-speed automatic. That additional gear helps lower the revs of the engine at highway speeds, further bolstering fuel economy. Four-wheel drive is optional with either engine. Base models get 16-inch wheels, air conditioning, USB input, Bluetooth, power windows, locks, mirrors and cruise control. Sport models have alloy wheels and body-color accents. Limited models have keyless entry and offer navigation and Toyota's acclaimed Entune Infotainment System. 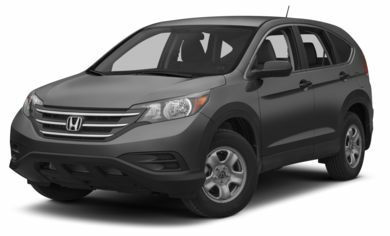 In comparison, the Honda CR-V is more fuel-efficient and has oodles of space in the rear seat and cargo area. But it doesn't have a V6 option or a third-row. 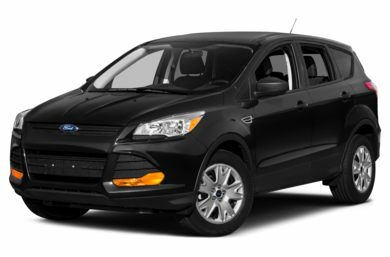 The Ford Escape has powerful EcoBoost turbocharged variants and sportier driving characteristics. The Escape is smaller overall and top Titanium level cars get very expensive. 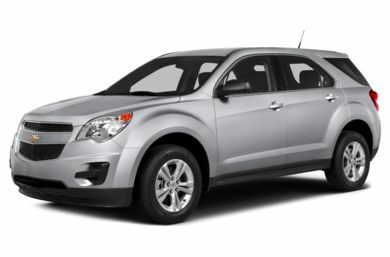 The Chevrolet Equinox is larger than many compact crossovers and has an available V6, but lacks a third row option. 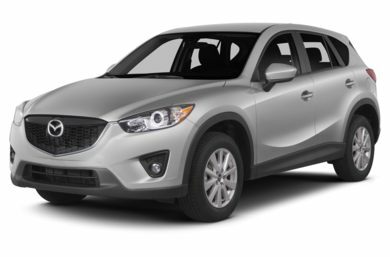 The Mazda CX- 5 is the fuel economy leader of the compact crossover class, acheiving up to 35 MPG highway. It also offers a manual transmission, a rarity these days. The Mazda is smaller than some crossovers though, and the four-cylinder is not as powerful as the V6 RAV4. It's getting old, but the RAV4 offers a lot of choice for crossover shoppers with a package that is not as large as midsize crossovers, yet doesn't leave out popular features like V6 or third-row seating. The Toyota is worth a look for customers who want a solid all-rounder that offers more space and versatility in exchange for best-in-class fuel economy. The most basic RAV4 still comes with all of the essential features crossover buyers look for. This model comes with 16-inch wheels, power windows, locks and mirrors, cruise control, Bluetooth, iPod connectivity and a six-speaker audio system. An Upgrade Value Package includes 17-inch alloy wheels, a roof rack, rear privacy glass, power sunroof and better seat fabric. An auto-dimming mirror with integrated backup camera is also optional. The Limited gives buyers access to standard automatic headlamps, fog lights, a hard-shell spare tire cover, keyless entry and start and dual- zone automatic climate control. Choosing the Limited is also the way to get the optional navigation system with a 6.1-inch touchscreen and Toyota's Entune system. The Premium Package adds leather seats, heated front seats and a power driver's seat. The Premium Plus Value adds a power sunroof to the Premium Package. The Sport adds a sport-tuned suspension and 18-inch alloy wheels to a RAV4 with more body color trim. Moving up to this trim also adds privacy glass and fog lights. V6 models add automatic headlamps. The Appearance Package adds a different tailgate design and exchanges the spare tire for run-flat tires. It also adds heated mirrors. The Premium Package includes leather seats, heated front seats and a power driver's seat. Spacious and user-friendly but doesn't offer a more powerful engine. Loaded with optional technology features, but can get very expensive. Larger than most competitors and has optional V6. Class-leading fuel economy and offers manual transmission, but short on power.